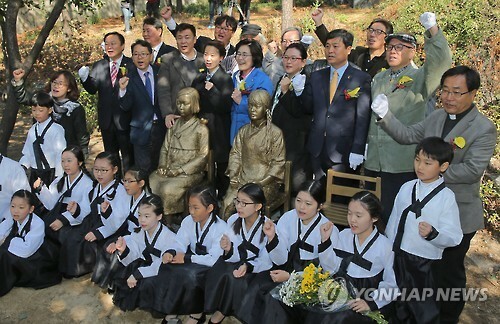 SEOUL, Oct. 29 (Korea Bizwire) – A monument to comfort women, a statue of a little Korean girl, now sits together with a statue of a Chinese girl. 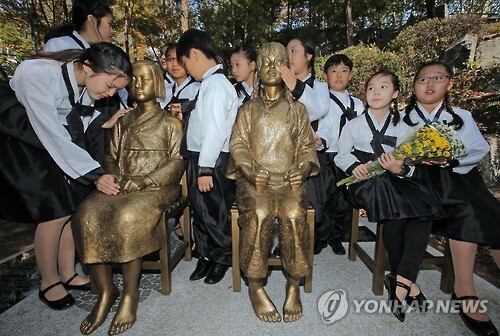 On October 28, nine girls and three boys wearing black and white traditional clothes pulled on a rope to reveal the statues of a Korean girl and Chinese girl who were sacrificed as comfort women. 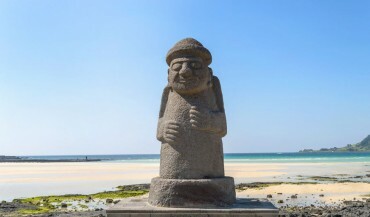 The Korean girl statue made by the sculptor couple Kim Woon-sung (50) and Kim Seo-kyung (49) is the same as the one that sits in front of the building that used to house the Japanese embassy. The Chinese girl statue was made by filmmaker Leo Shi-yong (54) and art professor Pan Yi-qun (54). She is wearing a Chinese dress and has braided hair. 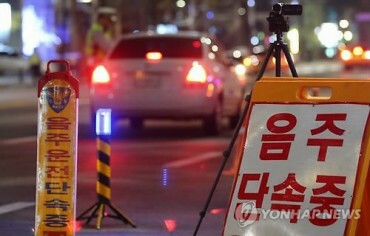 Under the Korean girl statue, there is a shadow, but there are four footprints beneath the Chinese girl statue. 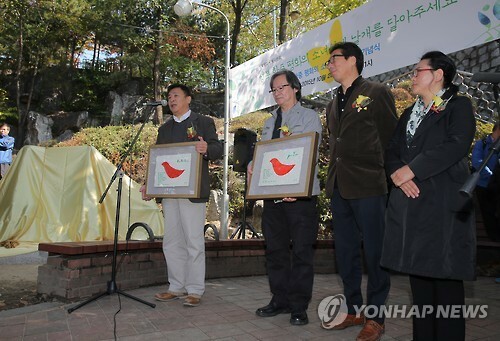 Officials explain that the footprints are replicas of the footprints of actual Chinese women that were sacrificed as comfort women. 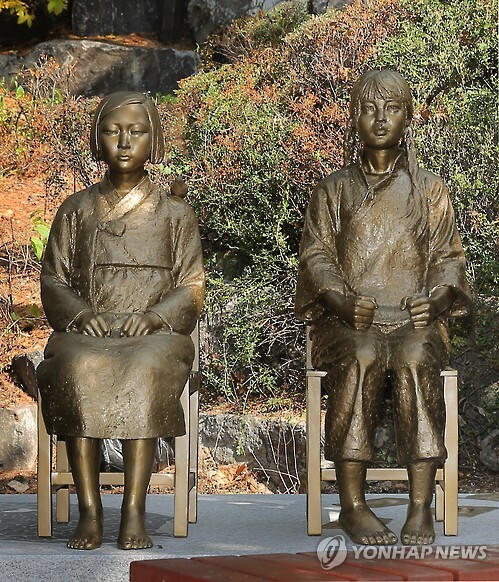 In addition, an empty chair has been placed next to the two statues, so that statues of girls that were sacrificed from other countries can also have a place to sit. The artists that made the statues plan to make another pair of statues at a university in Shanghai next year, and are looking into making another in San Francisco.